Sarah Pohl Castrillon has taught at Talbott Springs Elementary School and Oakland Mills Middle School since 2007. During those years, her middle school orchestras have consistently received superior ratings at county and state festivals. 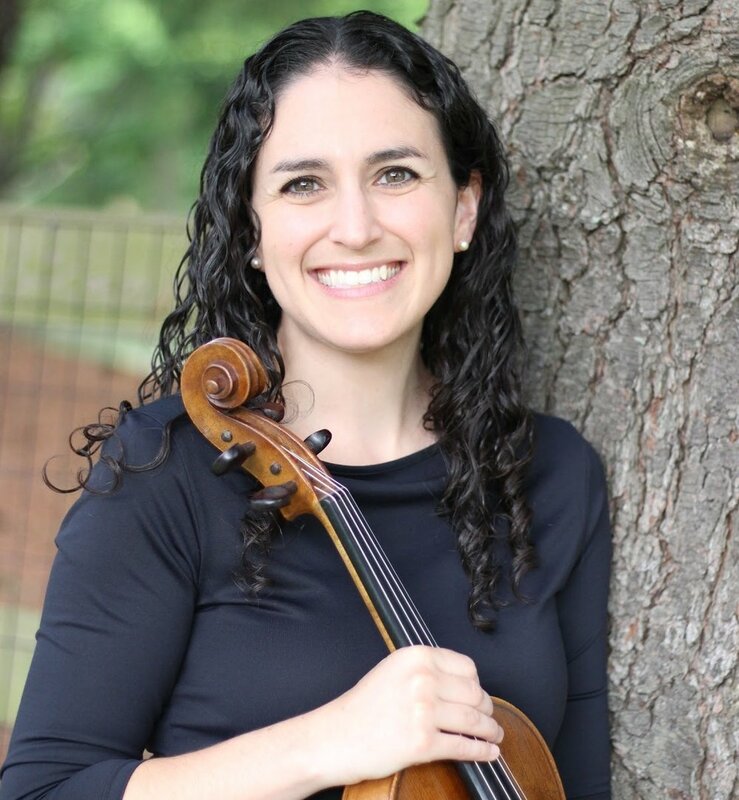 Mrs. Castrillon was born and raised in Arlington, VA to a very musical family and went on to earn a Bachelor's of Music Education degree from the University of Maryland, College Park studying violin with Dr. James Stern. After graduation in 2005, Mrs. Castrillon went back to the University of Maryland to receive a Master's degree in Viola Performance studying with the principal violist of the National Symphony Orchestra, Daniel Foster. During her years at the University of Maryland she participated in the National Orchestral Institute, Joven Orquesta de Galicia in La Coruna, Spain and the International Festival-Institute at Round Top, Texas. She was also a member of the Chamber Music Connections string quartet providing music outreach programs to elementary students in the Prince George's County Public Schools. She currently plays with the Fairfax Symphony Orchestra in Virginia and has performed with such artists as Peter Serkin, Roberto Diaz, Jaime Laredo, Zuill Bailey, Clay Aiken and members of the Guarneri String Quartet. Mrs. Lawrence has been an Orchestra Director in Howard County since 1988. She has worked at schools all over the county. For the past 24 years she has been the Director of Orchestras at Elkridge Landing Middle School and has also taught at Elkridge Elementary School. She loves teaching middle school orchestra and enjoys working with all her students. In addition to orchestra, Mrs. Lawrence teaches general music classes. Mrs. Lawrence's middle school orchestras have been recognized time and time again for outstanding performances at festivals. The violin is her primary instrument but she also plays piano, accompanying students at the County and State Solo and Ensemble Festivals. Mrs. Lawrence is a former member of the Maryland Symphony under the direction of Barry Tuckwell and has also performed for the Pittsburgh and Baltimore Opera. She is a freelance violinist and performs all over the Baltimore and Washington area. Mrs. Lawrence performs at Hood College each year in Handel's "Messiah" as well as various operas and concerts. She studied with Dr. Donald Portnoy and Stephen Hyde at West Virginia University performing in both the West Virginia Symphony and Symphonette. Mrs. Lawrence then continued her education at Duquesne University. Once she moved to Baltimore, she continued her studies with Herbert Greenberg, former Concertmaster of the Baltimore Symphony. Mrs. Lawrence comes from a musical family- her brothers are working musicians in Pittsburgh and her husband Tom is one of the most sought-after guitarists in Baltimore and Washington. They perform together at various events around town. She performs occasionally with her brothers and was featured on their family CD entitled “RML” Jazz. She resides in Columbia with her husband Tom and cat Tiger. Elizabeth Reinhardt has been the orchestra director at Hammond High School since 2009, where she conducts the Chamber Orchestra, Concert Orchestra, and Symphony Orchestra. She also runs the rapidly growing chamber music club that fosters independent student musicians and promotes public performances throughout the community. Before becoming full-time at Hammond, Mrs. Reinhardt also taught at Patuxent Valley Middle School for 8 years. While at PVMS, her group was invited to perform for the Maryland Music Educators Association conference, where students performed a concert for teachers from all over the state. As a clinician and judge, Mrs. Reinhardt has judged Solo and Ensemble Festivals, Orchestra Festivals, and All-State Junior and Senior Orchestras. She has guest conducted the UMBC Symphony Orchestra and worked with honor orchestras in Maryland. In addition, Mrs. Reinhardt has served on the HCPSS Music Leadership Team, where she helped plan and facilitate professional development for other Howard County orchestra teachers. Mrs. Reinhardt received her Bachelors Degree from University of Maryland Baltimore County, where she was the winner of the concerto competition multiple times. She received her Masters Degree in Music Education from Peabody Conservatory. Mrs. Reinhardt maintains a private cello studio in Sykesville, MD, where she resides with her husband, Tim, who is also an orchestra teacher in Howard County, and her dog Stella, who is an aspiring singer. Elizabeth Pak has been the orchestra director at Triadelphia Ridge Elementary School and Glenwood Middle School since 2015. Since then, Mrs. Pak’s middle school orchestras have received superior ratings at county and state festivals. Mrs. Pak has also adjudicated at the Howard County ES Solo and Ensemble Festival. Mrs. Pak began her musical studies at the age of five. She attended the Manhattan School of Music Pre-college Program where she studied under the renowned violinist, Grigory Kalinovsky. Mrs. Pak has won numerous competitions such as the Associated Music Teacher’s League Competition in 2002 and the 5th New York Music Competition sponsored by the Young Women’s Christian Association (YWCA) and The Korea Daily, where she performed in Carnegie Weill Recital Hall. Mrs. Pak had her first orchestral debut in 2006 with the New Jersey Philharmonic Orchestra playing Mozart’s Concerto No. 5 under Maestro Nam Yun Kim. She performed at the ceremony honoring the appointment of Supreme Court Justice, Sonia Sotomayor. Mrs. Pak was also one of the winners of the Chamber Music Society of Lincoln Center and performed in Alice Tully Hall. Mrs. Pak studied under the great pedagogue, Victor Danchenko, for both her Master’s and Bachelor’s degree. She graduated with her Master’s degree in Violin Pedagogy and Performance at the Peabody Conservatory of the Johns Hopkins University in May 2014. She has also completed her Pre K-12 Teaching Certification Program at the Peabody Conservatory under Dr. Laura Parker. She was awarded a Bachelor’s degree in Violin Performance in May 2012. Mrs. Pak currently resides in Eldersburg, MD with her husband, two dogs, and their sweet baby girl, Everly.